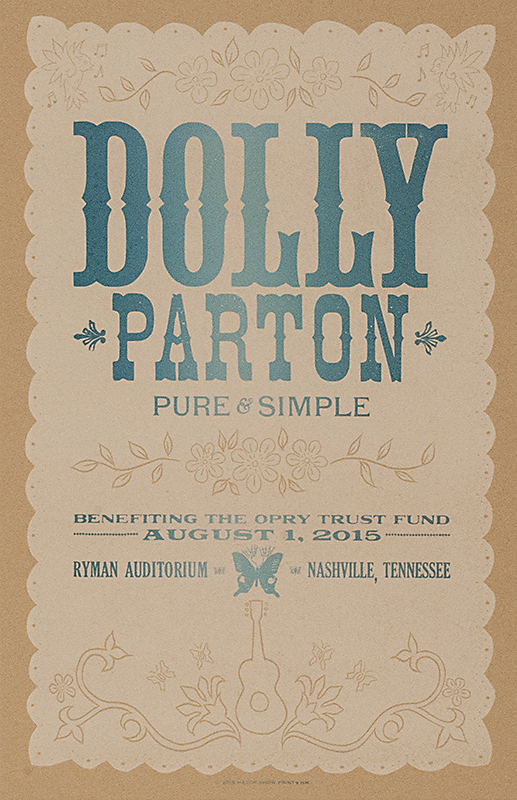 2-color letterpress posters for Dolly Parton’s July 31/August 1, 2015 performances at the Ryman Auditorium. Original carved background. Image used courtesy of Hatch Show Print.